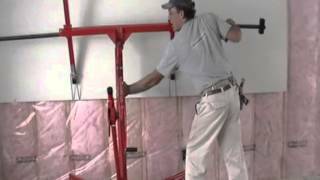 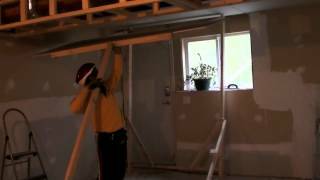 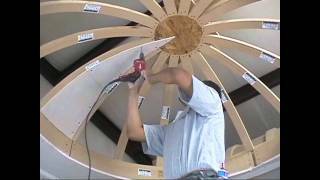 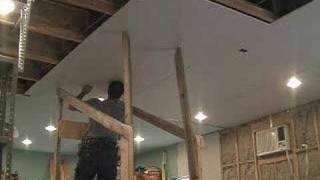 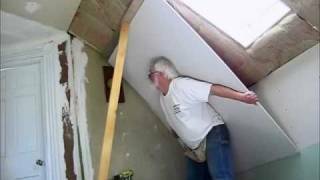 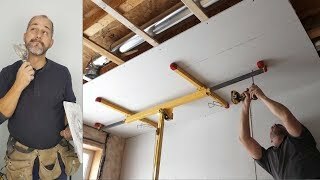 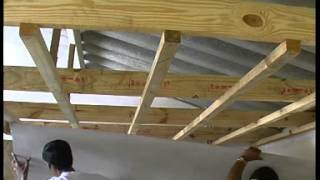 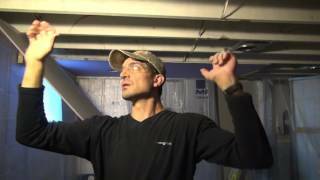 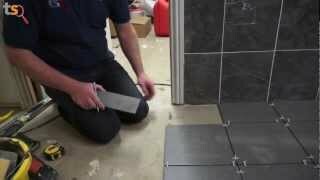 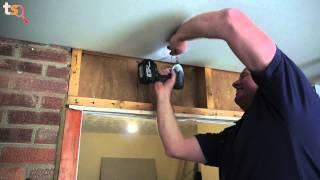 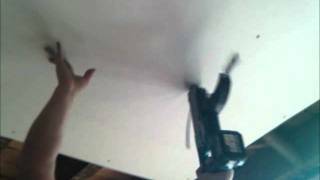 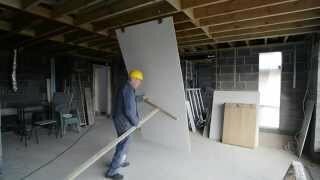 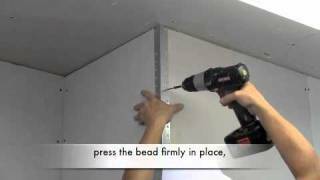 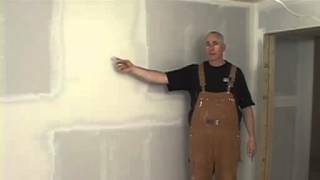 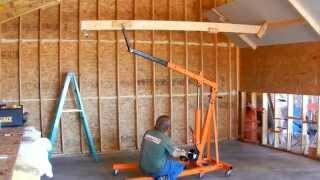 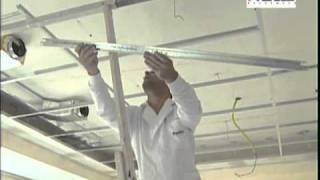 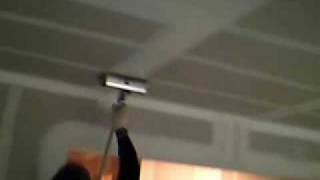 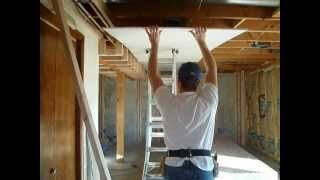 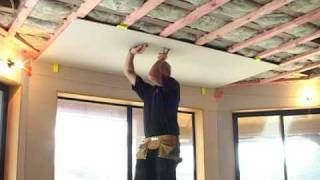 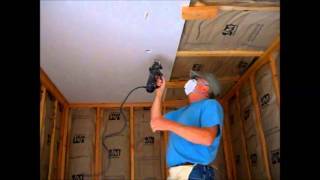 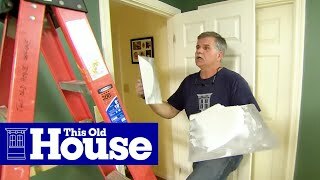 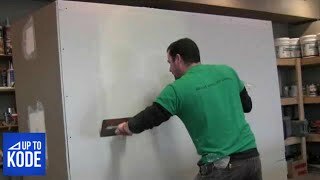 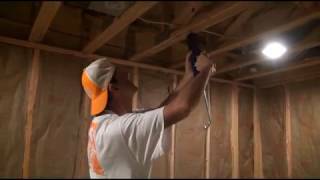 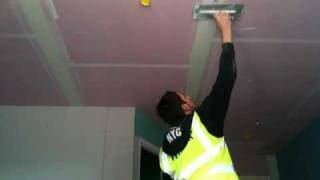 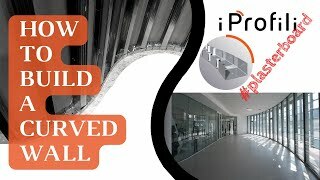 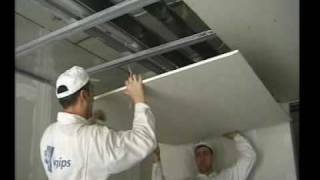 Shows how one man can install drywall on a ceiling using a simple, inexpensive jig. 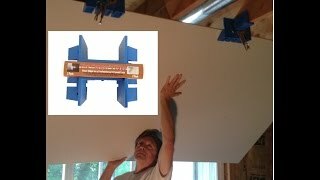 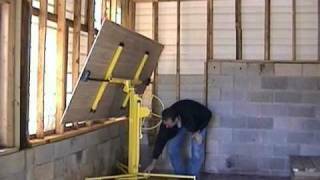 No need to buy or rent a drywall lift. 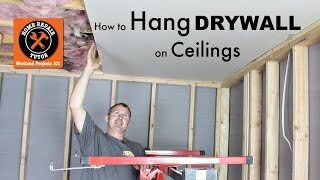 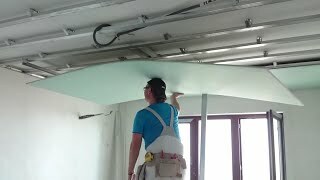 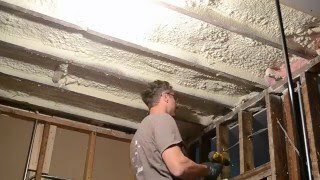 Hanging sheetrock on a ceiling can be a challenge for even two men but this technique makes it almost fun even when you hang the gyproc yourself. 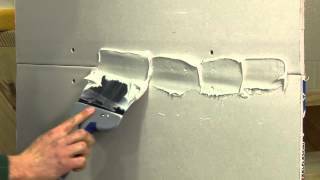 Telescopic paint roller handles are used here but any equivalent deadman would work just fine. 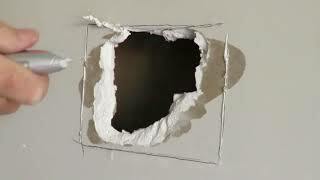 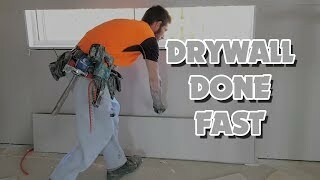 Google "drywall deadman" to find out more. 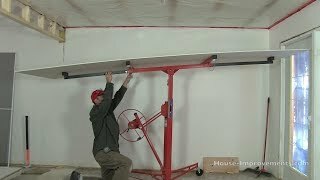 The ratcheting cargo bar (or jack) is essential for this technique to work properly. 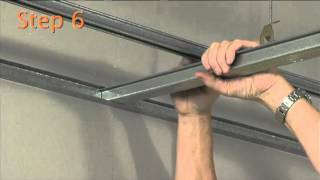 This kind of cargo bar is generally used to secure loads in pickups. 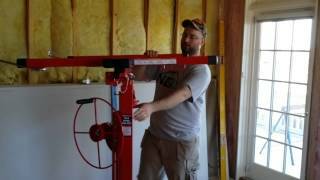 Harbor Freight Tools and others sell these for about $20.00. 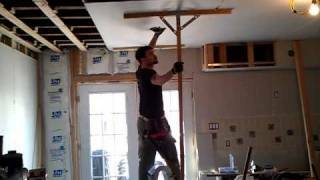 The main jig though is the adjustable (telescoping) closet rod - these can bought for $4.00 or so. 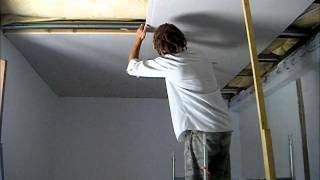 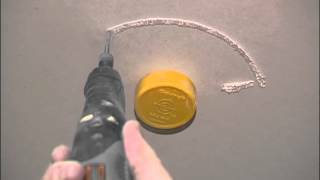 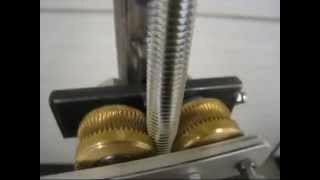 Of course any kind of plastic pipe that will fit loosely over the rod will work fine - abs is used in this video. 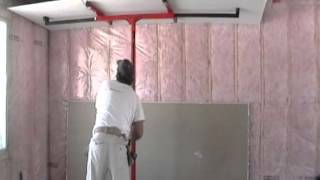 If you are working with 12 foot drywall simply use two closet rods appropriately spaced.